To minimize the stress of ending a relationship, many couples seek out organizations to help divorced families. Not only do these organizations provide the divorcing parties with valuable information, they also help children and parents deal with turbulent emotions. Even the most well-rounded people can experience unexpected turmoil throughout divorce and well past the end of the legal proceedings. Rather than becoming overwhelmed by disrupted lifestyles and negative by-products of divorce, families can seek relief early on by accessing any of the national organizations that provide professionally-trained help. In addition to helping all family members deal with the emotional strain of divorce, these organizations can offer legal help and financial advice to divorcing couples. If you're still feeling the after affects of divorce, it's important to seek divorce support from organizations like the ones listed below as early as possible. While time can ease some of the negative aspects, there remains a danger of falling deeper into depression, especially if there are financial issues and children about which to worry. Taking care of your emotional health is one of the best ways to cope with a new divorce. Use the organizations to help divorced families in the following list to take charge of your life and learn how to lead yourself and your kids into a brand new existence. Divorce Support: Based in Chicago, this organization sponsors an information network and features self-help services for families who are divorcing or experiencing trouble. American Self-Help Clearinghouse: This New Jersey based organization specializes in linking couples in crisis to resources all across America. For New Jersey residents, the Clearinghouse offers a variety of self-help support groups. Ackerman Institute for Family Therapy: Along with couples counseling, this New York City organization provides divorcing parents with the tools to help their children cope with the divorce. If you feel uncomfortable discussing personal matters face-to-face with strangers, consider joining one of the Internet-based support groups listed here. For many people caught up in painful divorce proceedings, financial matters may fall by the wayside. When this happens, it's a good idea to seek some professional help so that both of the divorcing parties can get back on their financial feet. National Resource Network: This for-profit organization's mission is helping people with basic financial planning following major lifestyle changes. National Foundation for Consumer Credit: The NFCC offers services in over 1100 locations in America, Canada and Puerto Rico. Its main purpose is education and credit counseling for families and individuals. 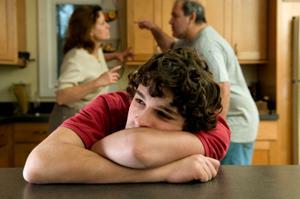 The effects of divorce can be especially devastating for children. As parents struggle through the process, it's crucial they remember that kids may require extra help to recover from the experience. Watch your kids closely for any warning signs that may signal the need for intervention. If you do come to realize your children need help, use the resources listed below to find emotional and peer-based support that's right for them. Everyone realizes dividing a family is difficult, but not enough people know about the many organizations to help divorced families in crisis. Before letting despair take over your life, reach out to a national organization or an online support system with services that best meet your family's needs.